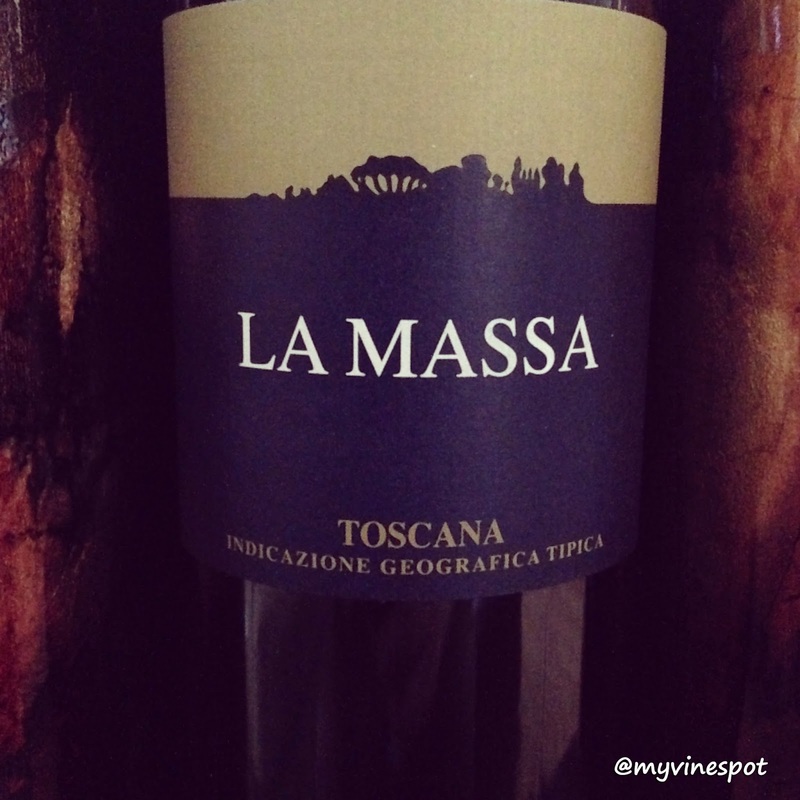 Today’s Quick Sip is the La Massa 2011 Toscana. La Massa was founded by Naples-born Giampaolo Motta in the early 1990s. After pursing wine-making in Chianti and spending time in Bordeaux, Giampaolo acquired 111 acres of hilly terrain in Panzano (Chianti) and started producing wine from the 66 acres of mature vine plantings already on the property. His 2011 Toscana marries Bordeaux varieties, Cabernet Sauvignon and Merlot, with the centerpiece of Tuscany, Sangiovese, as well as a splash of Alicante Bouschet. The La Massa 2011 Toscana represents good value for the money and is an ideal choice for everyday drinking or the dinner table. For further information and where you can find this wine, please see my tasting notes below. Review: La Massa 2011 Toscana (SRP $25): This is a savory and satisfying blend composed of 60% Sangiovese, 30% Cabernet Sauvignon, and the remaining made up from Merlot and Alicante Bouschet. Dark garnet in color, this wine offers poised blue and purple berry fruit aromas and flavors intertwined with drying minerals, crushed bay leaf, and muted notes of sweet tobacco leaf. The palate is medium to full in body, with an appealing liveliness and freshness to it, underscored by relaxed tannins, a supple texture, and a solid core of acidity that sails through to the pleasing, lingering finish. Overall, a delightful, budget-friendly wine that's well-balanced and harmonious with all of its flavors seamlessly integrated. This wine is a nice solitary sipper, though its food-partnering acidity is sure to shine at the dinner table. Region: Tuscany, Italy. (Other info: ABV 14%, cork enclosure). 89 Points. Click here to find this wine. It has a suggested retail price of $25 and is available for as low as $19.99 on CorkExclusive with FREE SHIPPING on any size order. Get the La Massa 2011 Toscana for just $19.99 plus FREE SHIPPING on any order!"